Wrong Turn 6 is released on DVD today, even though most people have no recollection of 5, 4 or even 3 being released. You might not even recall the first, which was actually a pretty good horror set in the backwoods of America and featured a gang of pretty young things being hunted by a group of mutant cannibals. It did pretty well at the box office, but didn’t exactly set the world on fire. For most people, Home Alone begins and ends with the first movie, in which plucky little Kevin McCallister is left to fend off robbers by his ridiculously forgetful parents. A 2nd, less successful, movie was released in 1992, while a 3rd movie – lacking Macaulay Culkin and with a bizarre plot about North Korean terrorists – seemingly put the franchise to bed. 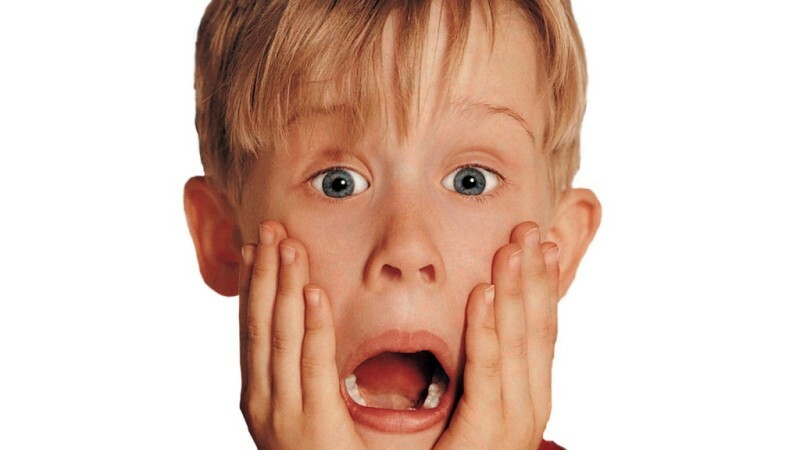 However, in 2002, the franchise was dug up for a 4th time and repurposed for a straight-to-TV movie, in which a grown-up Kevin (not played by Macaulay Culkin, sadly) moves back in with his parents and ends up – what a surprise – having to fend off burglars. It was critically panned and put the final nail in the Home Alone coffin – or did it? Of course not! A 5th movie, The Holiday Heist, was released in 2012, and saw a new kid trying to catch ghosts (and thieves). Again, it wasn’t well received and that was the end of the Home Alo- oh no, hang on, they’ve got a 6th movie planned for 2016. Will it ever end?! Friday the 13th is the franchise that refuses to die, with 12 movies and counting. The fate of the franchise was in some doubt following the release of the 2009 reboot, however. Despite being relatively successful, various studio infighting and issues led to plans for a sequel being shelved in 2011. Jason Voorhees was finally dead, it appeared. Then again, this is the franchise that survived a terrible movie set in hell and a terrible movie set in space; a bit of movie studio politics isn’t going to keep it down. And so it proved in 2013, when the rights to the franchise were sold to Paramount. They’re apparently planning to make a sequel ‘as soon as possible’. Hooray! Before Twilight pitted sparkly vampires and emotional werewolves against each other, there was Underworld. The original movie saw Kate Beckinsale don a tight leather suit to shoot the living daylights out of some nasty werewolves who killed her family. It was alright, but nothing special. Yet, somehow, that film has managed to spawn 3 more movies, all of which have been pretty badly received by critics. Remarkably, there’s a 5th and 6th movie planned too! It just goes to show the power of a cult following, we guess. Trying to explain the Saw franchise to someone who hasn’t seen it is like trying to explain War and Peace to an alien. Basically, it’s about a bloke who tortures people to teach them a lesson, but then [SPOILER ALERT!] he gets killed in the 3rd film, but somehow they managed to spin out another 4 movies afterwards (yes, the main villain is actually dead for more movies than he is alive). Saw 3D was apparently the end of the Saw franchise, but rumours are abound that a new movie is in the works. In fact, it may well be confirmed; series executive producer Daniel J. Heffner apparently told a film school that Saw 8 is coming out in 2015. Oh boy. Remember: you can sell any unwanted DVDs (including those in this blog post) with musicMagpie! ← Should you go and watch Teenage Mutant Ninja Turtles this weekend?